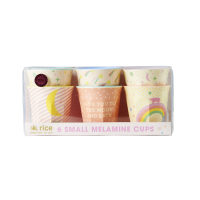 Love this Kids small melmaine cup from the new Universe collection by Rice DK. 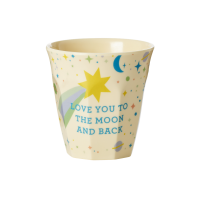 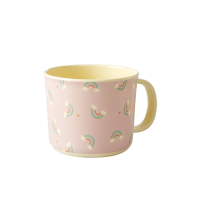 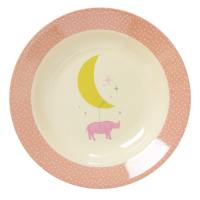 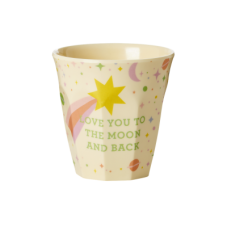 Cream coloured cup with a pink print of stars and planets and the words "LOVE YOU TO THE MOON AND BACK" in green. 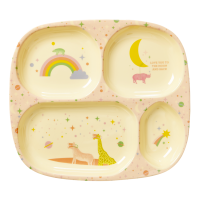 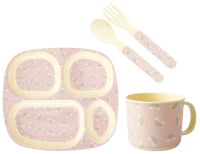 This easy to hold childs small melamine cup co-ordinates with both a round plate, bowl, 4 space plate, cup and cutlery.